formerly Toronto symbol SBY, is Canad''s second-largest food retailer after Loblaw. The company was acquired by parent Empire Co. in July 2007. 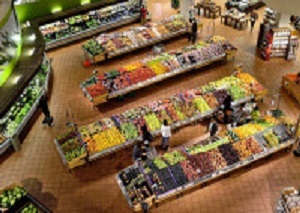 METRO INC. $41 (Toronto symbol MRU; Aggressive Growth Portfolio, Consumer sector; Shares outstanding: 227.1 million; Market cap: $9.3 billion; Price-to-sales ratio: 0.7; Dividend yield: 1.6%; TSINetwork Rating: Average; www.metro.ca) operates 600 grocery stores and 250 drugstores, in Quebec and Ontario. Q: Pat: I’d like your opinion on Primo Water Corp (PRMW on Nasdaq). Thanks. A: Primo Water Corp., $12.29, symbol PRMW on Nasdaq (Shares outstanding: 26.1 million; Market cap: $321.4 million; www.primowater.com), provides multi-gallon jugs of purified water, water dispensers and refilling stations, across Canada and the U.S.
METRO INC. $43 (Toronto symbol MRU; Aggressive Growth Portfolio, Consumer sector; Shares outstanding: 236.2 million; Market cap: $10.2 billion; Price-to-sales ratio: 0.8; Dividend yield: 1.3%; TSINetwork Rating: Average; www.metro.ca) operates 600 grocery stores and 250 drugstores, in Quebec and Ontario. Pat: I like the new format of your website—good job. What is your opinion of Empire Co. (EMP.A)? Thanks for taking the time. A: Empire Company Ltd., $21.58, symbol EMP.A on Toronto (Shares outstanding: 271.6 million; Market cap: $5.8 billion; www.empireco.ca), is a diversified Canadian firm based in Stellarton, Nova Scotia. The company split its shares on a 3-for-1 basis in September 2015. What is your opinion of the following investment: First Capital Realty? Thanks. First Capital Realty Inc., $19.76, symbol FCR on Toronto (Shares outstanding: 220.9 million; Market cap: $4.4 billion; www.firstcapitalrealty.ca), owns, develops and operates shopping centres throughout Canada. It focuses on big cities, including Toronto, Montreal, Calgary, Vancouver, Ottawa and Edmonton.